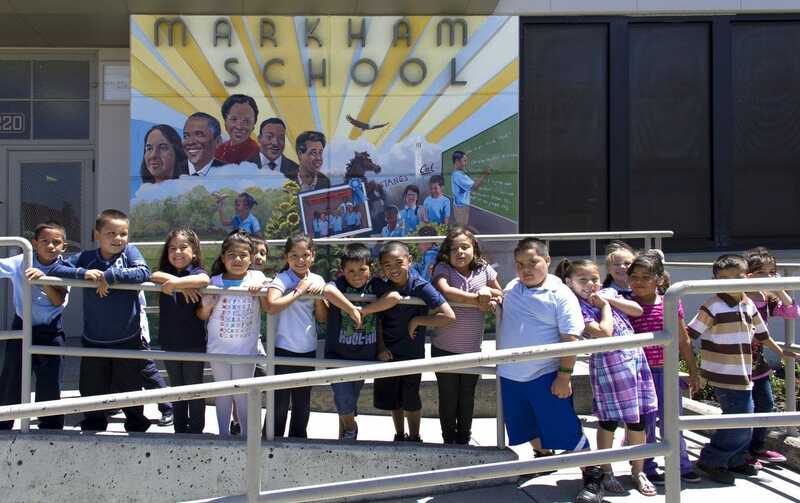 I painted this mural at Markham School in Oakland, CA. 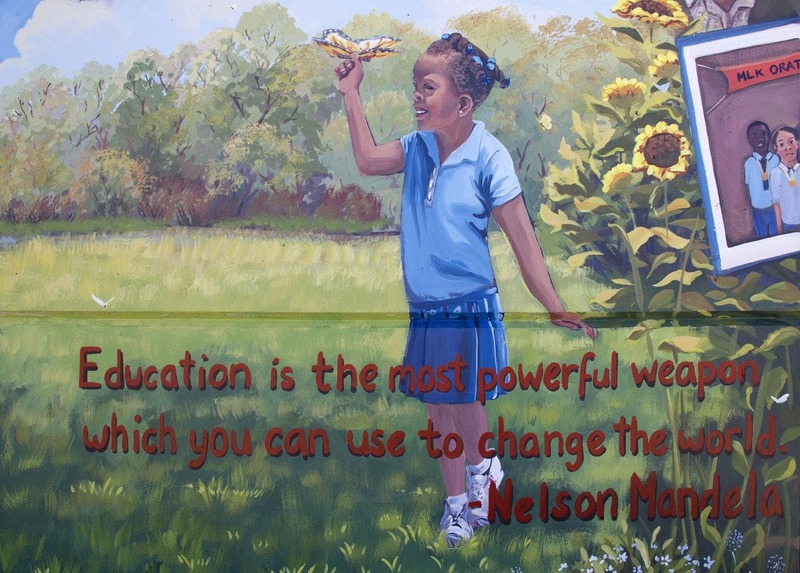 The school’s focus is literacy, so we included “reader development” phrases into the mural on the chalkboard. Oration was also important for the school, and they had won a blue ribbon at the Martin Luther King Oratorical Festival the year before. 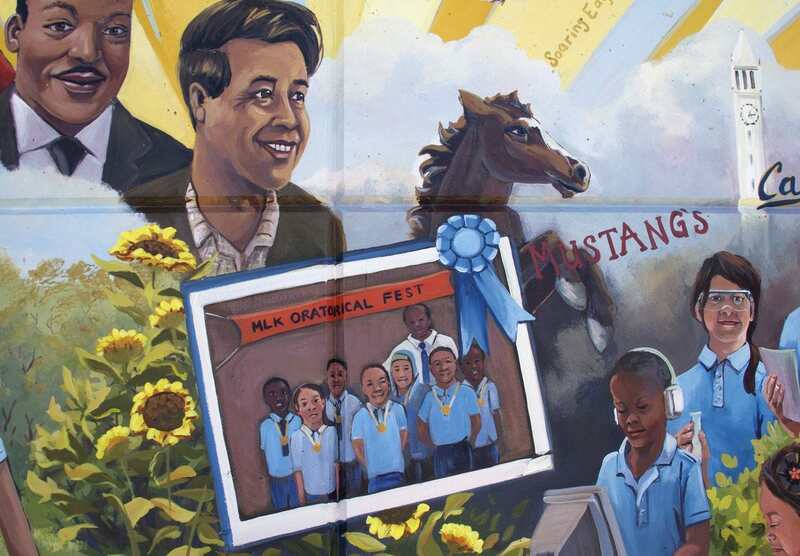 This was celebrated in the middle of the mural. 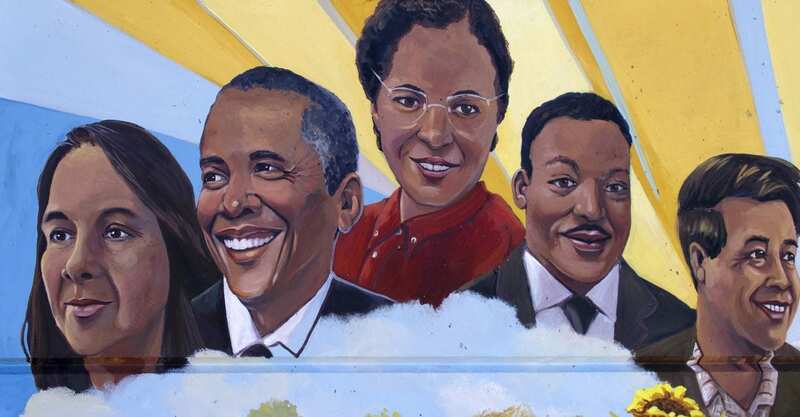 The school is predominantly African American and Hispanic students, so the principal chose heroes that are particularly inspiring for their community. 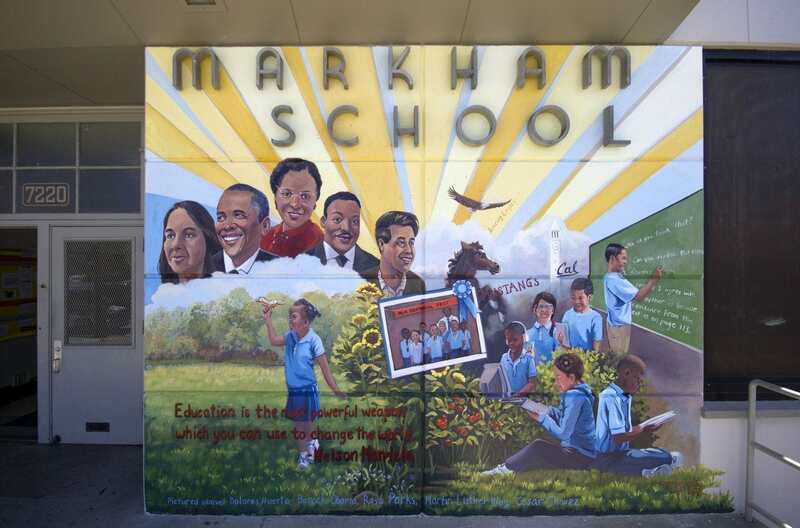 The students in the mural are actual Markham students, and many of the details were inspired by being at the school. For example, the butterfly in the girl’s hand was inspired by a butterfly art project I saw a class had done. The school building itself is painted a putty color, and the front was very plain. The mural makes the entrance vibrant, inspiring and inviting. 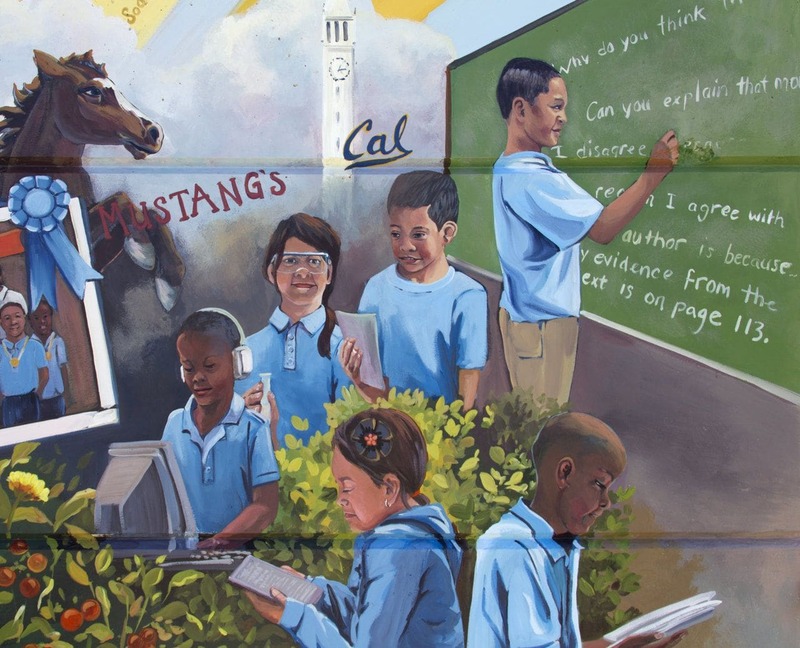 For more information about this mural project, read my blog post Getting Paid.